When I lived in lived in the Middle East I used fresh everything. I bought fresh tomatoes, blanched them, peeled and blended them for my marinara sauce. I didn’t use any mixes or cans. Moving back to the United States, starting off as a newspaper carrier at 2 a.m., a cook for a sorority type house of college girls and cleaning a local building, well I started using some short cuts. 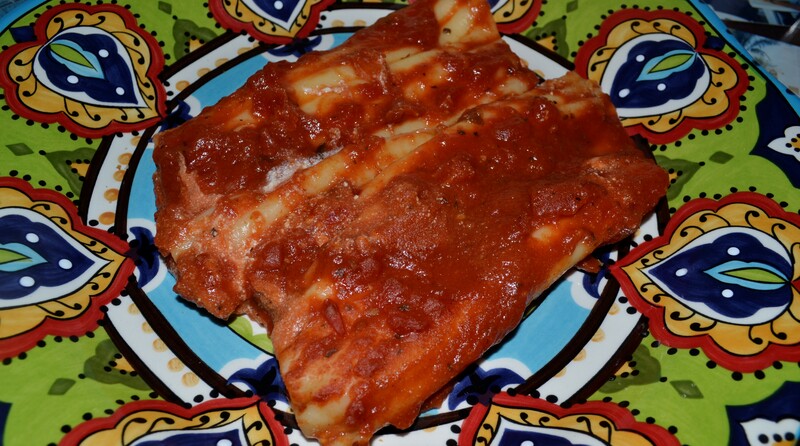 So, here is my Manicotti recipe revised. One box of Manicotti pasta cooked according to package directions, drain and rinse. Using a baking pan (ovenproof) of your choice, Spread marinara on the bottom of the pan so pasta wont stick. Mix the filling together in a bowl. Take shells when cool and spoon cheese mixture inside. Put enough to taste good but do not over stuff. Some shells might be broken that is fine just put the cheese and put the shell back together. Put these shells into the pan on top of sauce, do not stack, single layer only. When you have filled the pan put a generous amount of sauce on top, make sure you totally cover the shells so no pasta is exposed without sauce. Cover pan with foil and put into oven. Let cook for 45 minutes. Remove carefully from oven, pan is obviously hot but full of sauce so use caution! Let this set for a little while until not so hot. Serve.